Tana display. Available in Large or Small spool assortments. 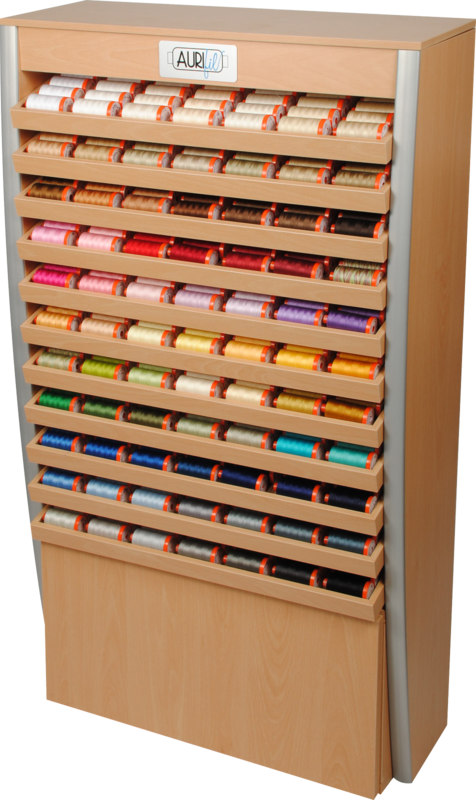 Also available in the “Kit and Cone” version to display thread collections and cones. Contact me by email for details on this display for your store.